It would be an understatement to say that the American middle class is important. The prevalence of American middle class jobs serves as a reflection for whether the economy is waxing or waning. 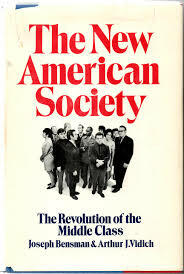 In light of the importance of the American bourgeois, the following highlights ways that the middle class influences society. Economists consider multiple factors when judging the state of the job market. One of these is human capital. Human capital consists of the physical and mental abilities that are necessary for labor and thus, a flourishing economy. The middle class is the largest source of human capital within the Unites States. By having a stable income, middle class families can ensure that children receive a proper education and medical benefits. With these two necessities accounted for, the middle class fuels the next generation of workers. In addition, the middle class is the source that feeds supply and demand. Specifically, the middle class ensures that business owners have a market. Without a middle class, the demand for various goods and services would greatly diminish. The upper class makes up a small fraction of the population and the lower class does not have the financial means that are necessary to contribute to a flourishing economy. There are a host of other ways that the middle class influences society. The robustness of an economy reflects a society’s well-being. Without the middle class, both the economy and society would wither away and die. American Society research papers examine the culture of the United States, described as an amalgamation of various immigrant cultures. The Microeconomics Article Summary must, in some way, relate to a change in one or more determinants of supply or demand or the imposition of a price ceiling or floor. Paper Masters writes custom research papers on The Middle Class and American Society and discuss the influence of the middle class in society.